The author of Fahrenheit 451 and The Martian Chronicles is among the most highly respected science fiction and fantasy writers today. His works explore the nature, implication, and limits of the human, in both terrestrial and extraterrestrial realms. Bradbury's often dystopian visions were a product of the times, years marked by the Cold War and nuclear proliferation. 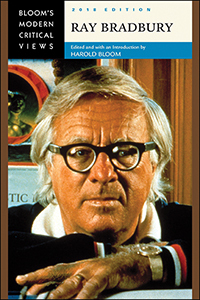 Readers will find useful critical commentary on Bradbury's work in Ray Bradbury, 2018 Edition. Also featured are an introductory essay by master scholar Harold Bloom, a bibliography, and a chronology of Bradbury's life.